knew that to do so or to even allude to the fact that some children simply need acceleration, could lead to a backlash regarding our own choice to accelerate our son. I’m sharing some Affiliate Links below that relate to advancing students. in his head by age 4 as well. We began homeschooling the fall that he turned 5 despite the fact that his birth date fell after the public school’s cut off date for Kindergarten. Yet, we began that year with 1st grade curricula. He completed the entire scope of lessons in 6 weeks. So what was a mama to do, simply let him stop learning? No, instead I just continued to give him more, moving him further along as his need for learning demanded. talented education. This is a term that is quite difficult. On the one hand as a parent who is solely responsible for the education of my child, I wanted to steer clear of such titles, as anything outside the perceived “norm” brings attention to the child and for me I simply wanted others to see him just as they would any other child. But it was obvious to me that he needed me to understand that his need is more entrenched in a gifted and talented education than in the typical learner education. The term isn’t one I like because I believe that ALL children are gifted and talented but each according to the gifts granted them by the Father and Creator of us all. Yet this is the term that educators and psychologists apply to children with advanced learning abilities. I prefer to use terms like advanced learner, differentiated learner or accelerated learner. Now as we are nearing the end of his “4th” grade year, I continue to educate myself on what his needs are, ever fearful of how society views him. He is different. There is no getting around that fact. 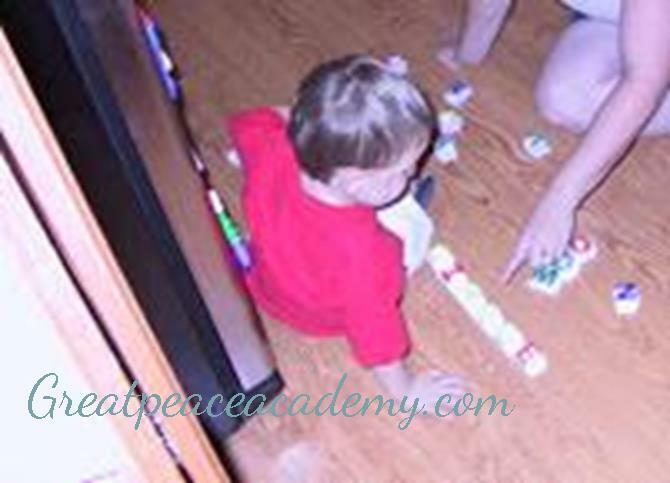 He is different in his learning ability, his communication skills, his ability to relate to others. He from early on in a conversation can determine if someone is truly interested in him or if they are either simply tolerating him or not interested at all. He doesn’t vocalize these things to me, I see it more in the way he reacts to or treats others. I am currently reading a book about the social and emotional needs of gifted children, which I will be reviewing as soon as I am finished reading it. Last night, however I found a quote in it that I want to share regarding acceleration of a child’s education. These sentences have finally, for me, clearly defined what it is that I have feared, versus, what it is in my heart that I knew my son needed. It has given my heart peace to know that what I am doing is giving my son what he NEEDS instead of pushing him to what I think he needs. The reality is that he learns at an advanced rate, therefore the curriculum must be accelerated to meet his need. I don’t know the Harding family personally. But after seeing their story I believe they are doing the same for their children. The reason it has caused such a firestorm of opinions is because those with typical learners can’t always see outside of their perceived “norm” to see that others might just have a completely different need. Posted in Bible-Study, Christian Parenting, Devotional Study for Women, Family, Gifted HomeschoolcommentLeave a Comment on Acceleration: What is it?